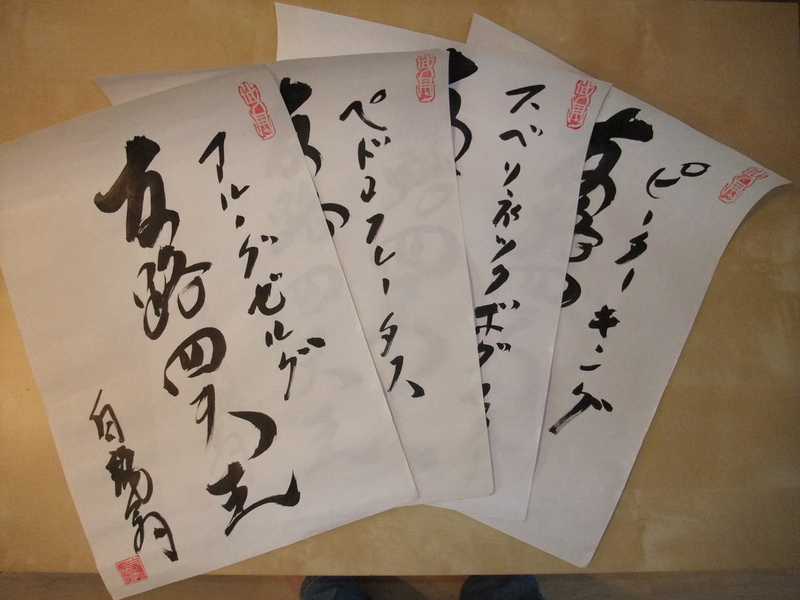 Here is the picture of the 4 calligraphies by sôke when he decided to change the name into Yûro Shi Tennô Taikai. Each one bears the new name and the name of the beholder. Here from left to right: Arnaud, Pedro, Sven, Peter. Painted by Hatsumi sensei in August 2009. I was surprised when he called me and did the four calligraphies in front of me. Good memory!